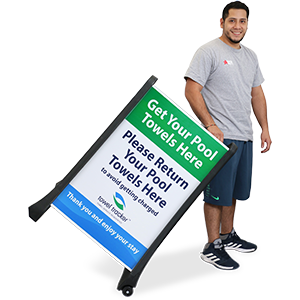 Replace lost letters or numbers on your sidewalk sign, or expand your message with our Sidewalk Sign Letter & Number Kit. • Standard kits include: one set of 314 - 4" letters, numbers and symbols (White letters & Red/White numbers). 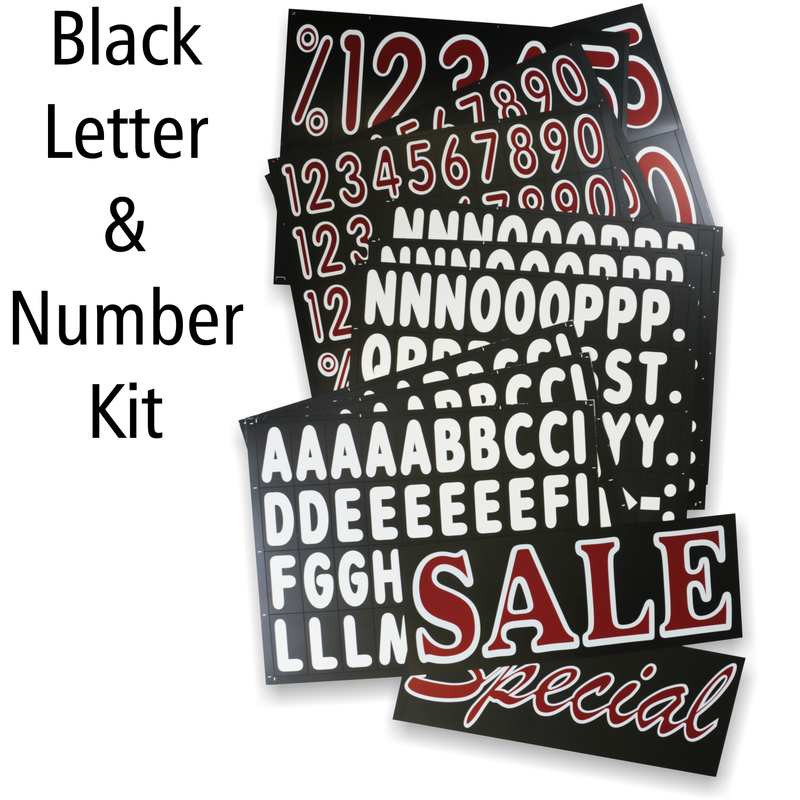 • Deluxe kits include: one set of 314 - 4" letters, numbers and symbols (White letters & Red/White numbers), two - 9" double-sided headers (Sale/Special in Red/White), and one set of 22 - jumbo 8" numbers with the percent symbol (Red/White). 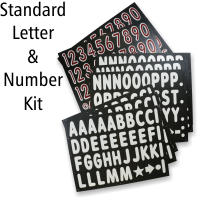 The standard kit includes one set of 314 - 4” letters, numbers and symbols (White letters & Red/White numbers for Black boards). 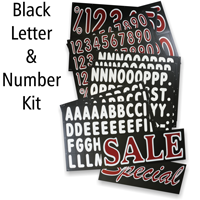 Comes with one set of standard 314 - 4” letters, numbers and symbols (White letters & Red/White numbers for Black boards). 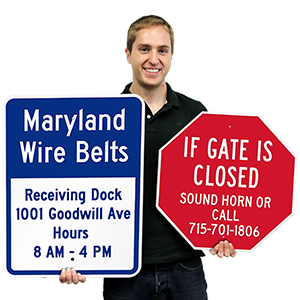 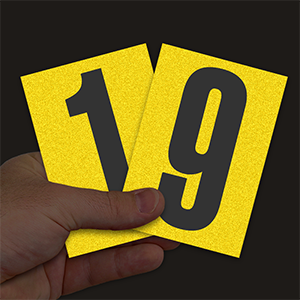 Deluxe kits include one set of 22 - 8” numbers with the percent symbo/ and one set of 2 - 9” double-sided headers, “SALE/Special” (Red/White border for Black boards).